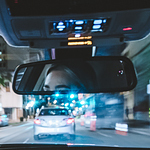 The thought of becoming a rideshare driver may have crossed your mind. It has, in recent years, become a viable way to earn a living, but to succeed you need the right type of vehicle. That means finding a vehicle with very specific characteristics. Imagine this scenario: it's a late night in Shrewsbury. You're driving home from a relative's house and you feel a bit tired. Not paying as much attention as you should have, you drive over a patch of black ice and slide into a nearby fence. You're unharmed, but the grass around the fence was part ice, part mud, part mush-- and now your car is stuck. The darkening process, electrochromism, occurs when two ambient sensors, usually cameras, detect headlight glare from the following vehicle. 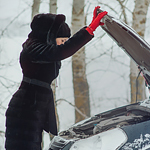 Is Your Car Ready for Freezing Temperatures? Whether you're taking a short commute or long-distance road trip in the winter, you should make sure that your car is ready to deal with harsh conditions. Wagner Kia of Shrewsbury provides the following tips for winter driving. Freezing temperatures can adversely impact several important mechanical and electrical systems in a car. 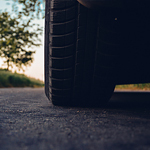 You can take simple measures to prevent major damage to various components under the hood. For example, the coolant reservoir must be filled with a solution that contains at least 50 percent of antifreeze. When you are behind the wheel of your Kia model vehicle, you want to be comfortable. You also want an interior that is sleek and good looking. When it comes to the Kia Soul, it has it all. Check out a few of its features below! What Sedans Are Offered by Kia? Life is about choice and Kia offers a few. They have a series of different sedan model vehicles to choose from. These vehicles range in their standard features, performance capabilities, technology and safety standards. When you are trying to decide on what product to buy, do you normally go with an option rated highly or otherwise? Most likely, you answered the former, and rightfully so because ratings are revealing of product quality. That is why we can say with confidence that drivers will appreciate the KIA Sportage—winner of the AutoPacific Ideal Vehicle Award. For the young professionals looking to upgrade their vehicle to a more fuel efficient and comfortable sedan for the everyday work commute, the Kia Forte has everything you need for a satisfactory drive. If you want to take your commute through Shrewsbury to the next level, see how this five-passenger sedan will benefit you in the long run. Have you ever wished that you could just ask a vehicle directly about its features? Well, now you can with Kia NiroBot. It's not quite the same as walking up to the 2017 Kia Niro, but it comes close. NiroBot lets you use Facebook Messenger to quiz the Kia Niro and get real-time automated answers to your questions.